Acting Chief Information Officer Vijay Sammeta discusses the city's cloud computing strategy, why city leaders should take the opportunity to make big changes in service delivery now, and why they shouldn't fall in love with the word "cloud." 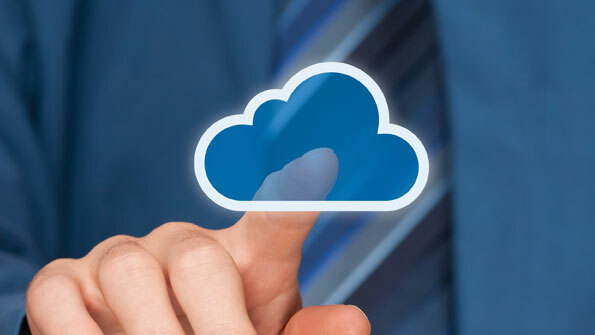 What does the cloud mean for government? Who are the key stakeholders, and what factors should they consider? This article appeared in the February 2012 issue with the headline, "Stepping into the cloud." Vijay Sammeta, acting chief information officer for San José, Calif., sat down with American City & County to discuss his city’s move to the cloud and to offer advice for others considering a similar move. Sammeta is responsible for shaping the city’s direction for IT strategy, leading the 120-person IT department and overseeing its annual $22 million operating budget. What is San Jose's go-to-cloud strategy? San Jose’s IT department views the cloud as a piece of the overall IT service-delivery puzzle. Rather than focusing on system-by-system architecture where resources become silo’ed, the IT department is taking a step back and looking at the entire environment from a total cost-of-ownership perspective. Specifically, we are engaging cloud solutions that automate or streamline elements of the infrastructure that are resource-heavy yet do not yield much citizen value directly. By leveraging cloud vendors to handle the routine work, common across all industries, resources can shift to delivering value to what makes government unique. Where is San Jose in the process, and where do you see the cloud going in the next couple years? San Jose has spent the last couple years building a cloud-enabled infrastructure. That means the city has been focused on building redundancy to the cloud as a way to minimize the silo effect caused by only looking at systems one at a time. Why not consider redundancy to the cloud and let cloud vendors handle system-level redundancy? Many of us have been virtualizing our on-premise hardware for years to lower costs. It makes perfect sense; servers aren’t used to their full capacity, so why not put as many as you can on a single piece of hardware? To play this scenario out a couple years from now, why not let that hardware exist in the cloud where those economics can be leveraged over larger sets of infrastructure? You get the benefit of pay-as-you go/grow without the capital investments. What is the timeframe for executing San Jose’s cloud implementation, the expectations of the ROI and the internal support gained for the effort? Over the past several years, the city has already embraced several cloud solutions, including systems for recreation class registration, tracking constituents’ service requests and, most recently, the city’s new web content management system. Over the next 12 to 24 months, San Jose will be reviewing its operations and looking for additional larger-scale opportunities to deploy a cloud strategy. Among the areas under consideration are hosted VoIP, secure storage and virtualization in the cloud. San Jose’s goal of moving to the cloud is to modernize key business systems, streamline operations following staffing reductions, and to move technical staff to a more direct citizen-focused service delivery model. As with any technology investment, the total cost of ownership, return on investment or cost benefit analysis must be calculated case-by-case. Understanding total cost of ownership for existing service delivery areas is the starting point for consideration of migrating or augmenting services delivery to or with cloud components.